Alistair Burt, Britain's minister for the Middle East, has condemned Israel's decision to officially recognize the Ariel University Center of Samaria as a full-fledged university, saying "We are deeply disappointed by the decision to upgrade Ariel's university center. Ariel is beyond the Green Line in a settlement that is illegal according to international law." "This decision will deepen the presence of the settlements in the Palestinian territories and will create another obstacle to peace," he said in a statement released Thursday. Addressing the Israeli government's decision to expand construction in Jerusalem's Gilo, Givat Hamatos and Ramat Shlomo neighborhoods, Burt said "These are further profoundly provocative actions that run contrary to the Fourth Geneva Convention. By taking these steps, despite the international community repeatedly raising our profound concerns, the Israeli government is damaging Israel's international reputation." The British minister said that during a conversation with Palestinian President Mahmoud Abbas last week he praised "the measured response the Palestinian leadership had been taking in response to Israel's recent settlement announcements. "We reiterate our call on Israel urgently to reverse these decisions and take no further steps aimed at expanding or entrenching settlement activity," Burt stated. The UK also "unreservedly" condemned the recent call for a third intifada and a suicide campaign by a Hamas figure. "Incitements to violence and terror are unacceptable. We welcome that President Abbas has publicly rejected the recent inflammatory statements by Hamas leaders, and that he has stated clearly the position of the legitimate Palestinian Leadership which has accepted the State of Israel in 1967 borders," Burt said in the statement. 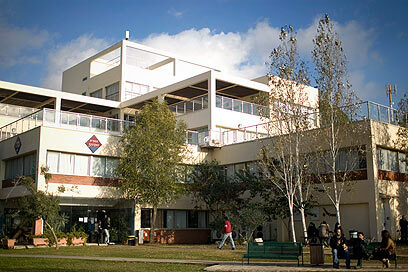 See all talkbacks "UK 'very disappointed' by Ariel university upgrade"